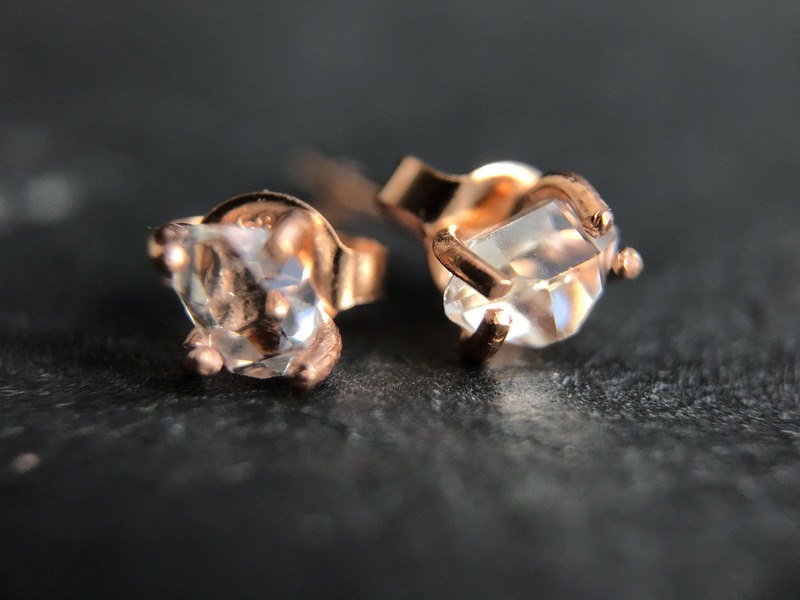 Named for their resemblance to rough diamond crystals, Herkimers diamonds are actually quartz crystals unearthed in Herkimer County in Upstate New York. 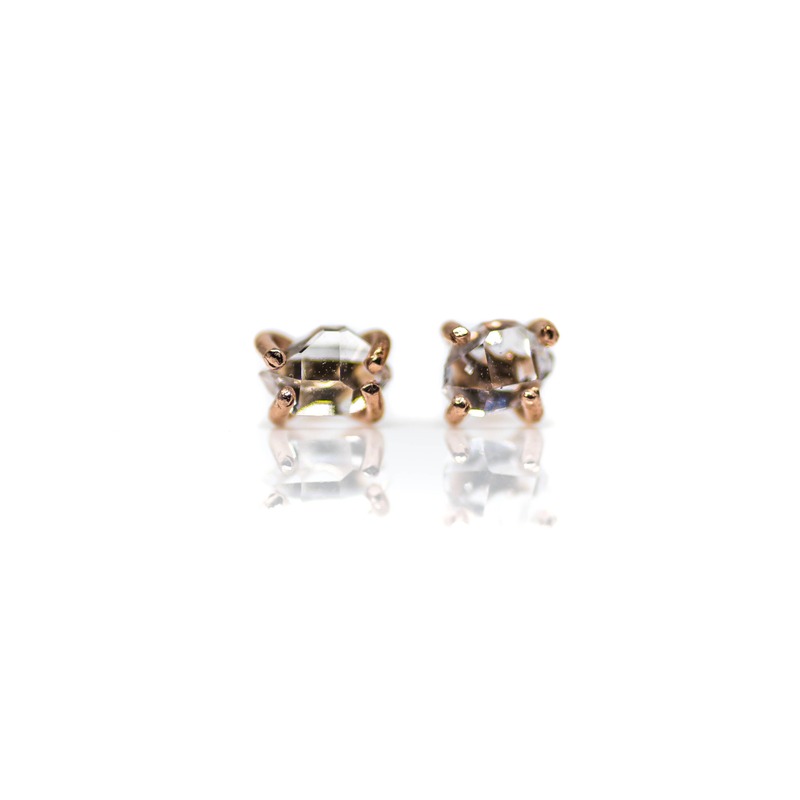 They come right out of the ground this way, faceted by Mother Nature. 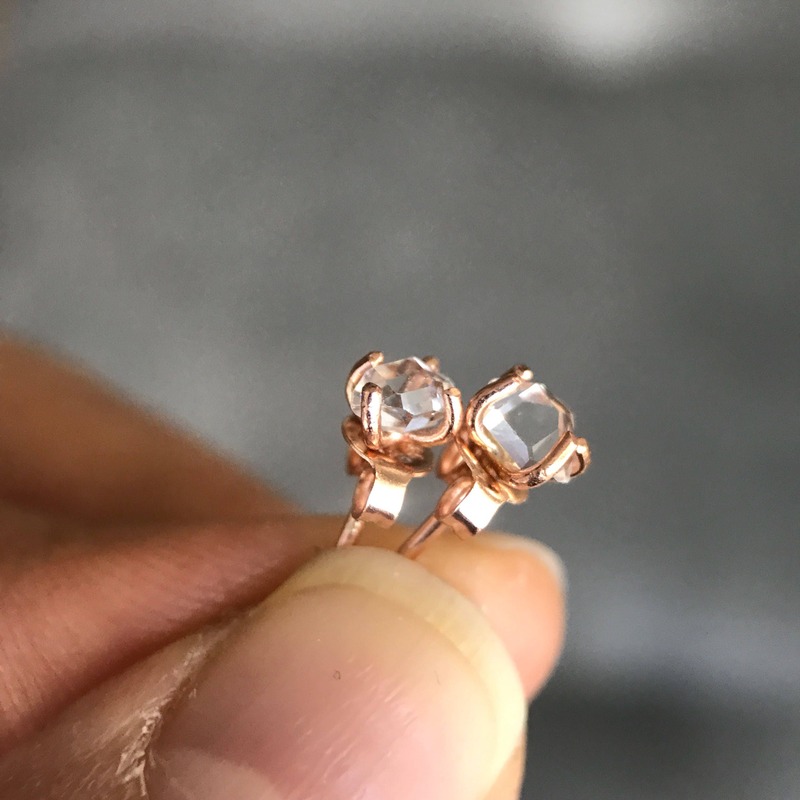 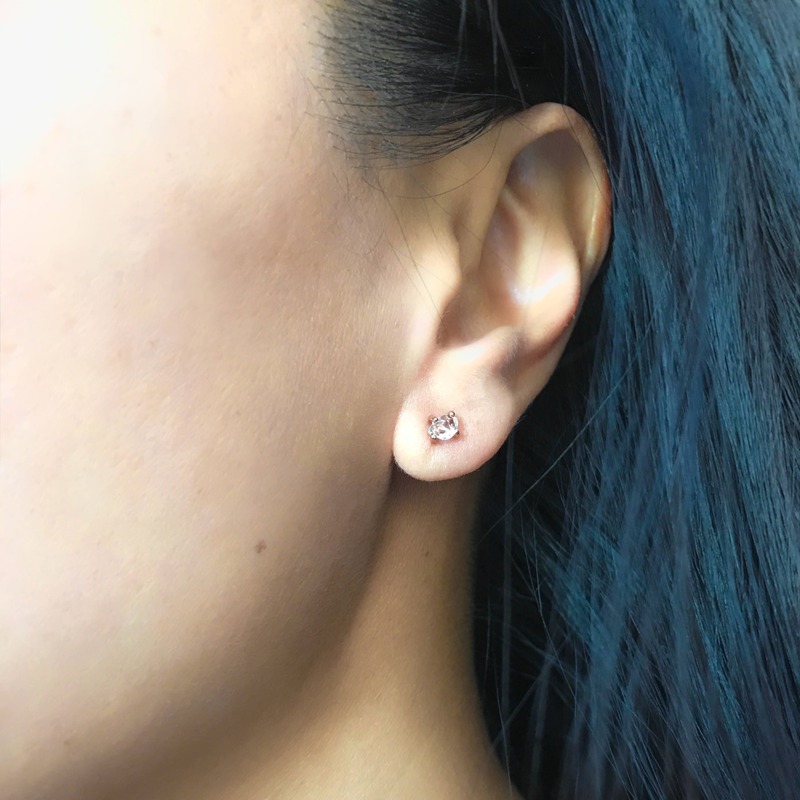 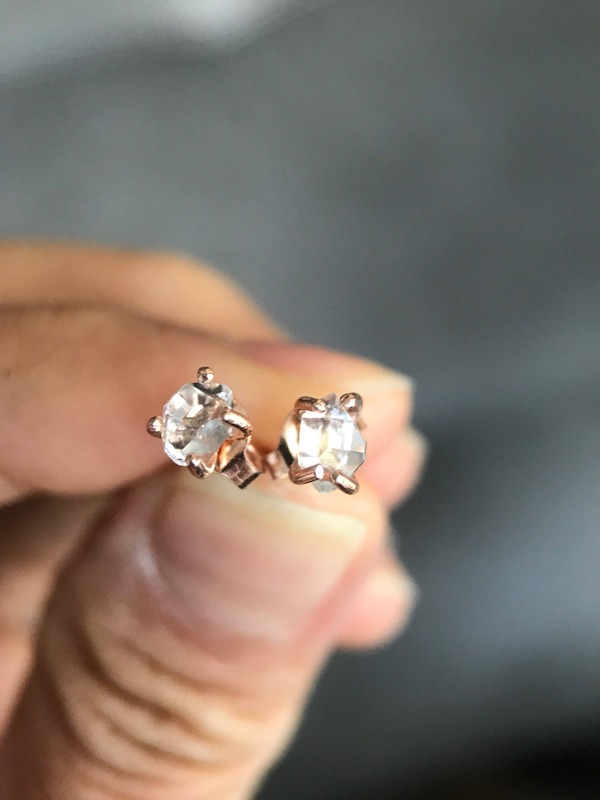 These top grade sparkly mini Herkimer diamond studs are hand set in 14 karat pink (as shown) and measure approximately 5mmx3.5mm. 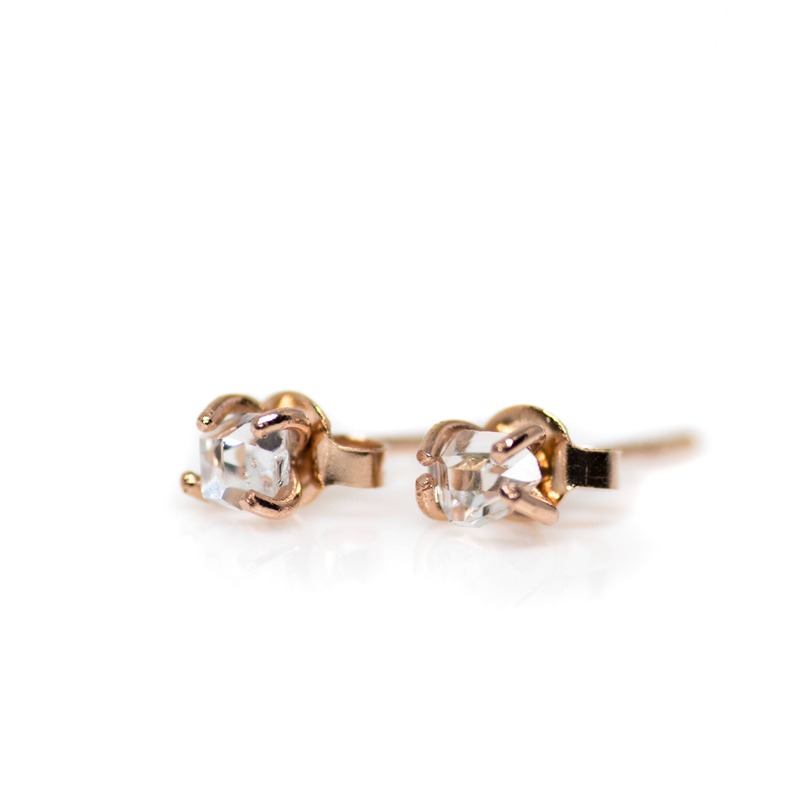 Each pair is handmade in my studio in NYC.